One of the major elements of the IFMCA Young Reviewers Mentorship Programme is to offer them an opportunity to bring their work to a larger audience; as such, IFMCA member Craig Lysy has interviewed each of the members of the Class of 2018 about their background, their philosophy towards films music, and their plans for their future work as a film music journalist. The second interview is with Michael Hollands. 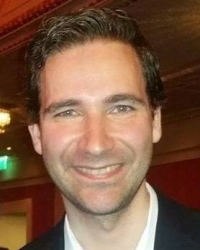 Michael is the owner and chief reviewer of Sound of the Movies; he is 33 years old, and resides in Hesse, Germany. He has a Bachelor of Arts in Translation (English) in Industrial Business Management, and started his site in June 2017. CL: So Michael, what brought you to film score art, and why does it matter to you? CL: When date you establish your website and begin reporting about film music in official media? MH: I started reporting about film music more than three years ago. Back then; I joined Kaya Savas at “Film.Music.Media”. I was very fortunate to have been given the chance to write for his website. After a while, I had the idea to create my own website and a YouTube Channel as it was very important for me to expand and to grow. I started collecting ideas about what I would like to do and what my site and channel should look like. A few months later (June 2017), I had finally finished everything and it is so fulfilling to write about music and to have to chance to interview those great composers – a dream has indeed come true! MH: As mentioned above, I have my own website and YouTube channel called Sound of the Movies. I write reviews dealing with film scores and also concert work. On my channel I focus on interviews and podcasts. CL: Can you explain your review process? What criteria you believe defines a good film score? Do you consider the contents of the corresponding motion picture in your judgment of the soundtrack CD? MH: This is a tricky question. First and foremost, a film score needs to serve the film. It is the composer’s job to come up with a score that enhances and reflects the story and the characters. Certain scores work well for the film but they don’t stand-alone. If a score works perfectly for the film and on top of that works tremendously as an album, then it is all the better. What makes a score a good score? This is really hard to tell as a score is designed to work with the images. A score needs to move the audience, some would say manipulate it. A good composer knows how to play with the audience. They know what theme works best and how to twist and develop it. Many films offer the composer the opportunity to write a great melody. Other films call for a non-thematic approach. Would you consider such as score to be a bad one, because it is not necessarily a pleasant listening experience? Jerry Goldsmith’s The Omen is certainly very disturbing at times and hard to listen to. Yet, I think it is a brilliant piece of work. It served the film on a multitude of levels. Jerry Goldsmith wrote one of the most effective scores of all time. Yet, I don’t revisit the album often. I think that many scores are better received by the listener if they have seen the film and they know how the music works in context. However, when it comes to a film score album, I tend to think that the audience and the potential buyer first and foremost care about the quality of the album. I don’t think it makes sense at all to buy an album because it worked in the film but you have trouble connecting with the music out of context. On the other hand, there are scores that I have become really fond of, because I have a strong connection to the film itself. Face Off for instance is my favorite John Powell score, even though I don’t think it is his best work. Back then I had watched the film and I thought the score was fantastic. Had I listened to the score without having seen the final film, I might not have been that fond right away. Sometimes you need to watch the film to fully appreciate the music, even if the score can stand alone. CL: Share your passion. Relate to me what you have to offer, and explain why people should visit your site and read your reviews. MH: It is my goal to continuously provide the readers with reviews and articles and of course constantly arrange interviews. This is an absolute privilege for me and a dream certainly has come true. I hope that people notice my passion for this industry. This is my life and there is nothing that I am more interested in than films and music. When it comes to my interviews, I want the listeners to experience the full conversation. I don’t transcribe the interview. I don’t think there is any point in doing that, since a transcribed conversation might be misunderstood. I also like to have a very detailed conversation that provides a lot of insight. This of course always depends on the composer’s schedule and how much time we have. The length of my reviews always varies. The level of detail depends on how strongly I was inspired by score and also the film. I think I gravitate more towards an expression of feelings as opposed to throwing around musical terms. I don’t think a music lover is automatically familiar with technical terms, so I try to express what the music feels like. I believe people want to know if a score works and whether the music is good and if it evokes a certain feeling. Music is so much about feelings as it touches the heart. That’s basically my approach. I need to feel the music and I react to it emotionally. Then I start taking notes. Sometimes I just write down a few words which describe the piece and I just go from there. It can be very hard and challenging to verbalize what you feel. That’s what makes it so interesting as well. You can read Michael’s reviews at https://soundofthemovies.com, and visit his Youtube channel.